Mount Magnet South (ASX:MUM) will become the latest resources company to pivot, aiming to take over a mouthguard business which features former AFL star and current Essendon coach John Worsfold on the board. The company told its investors today that it would move to acquire Gameday International Pty Ltd, which provides custom fit mouthguards that people can order and customise. 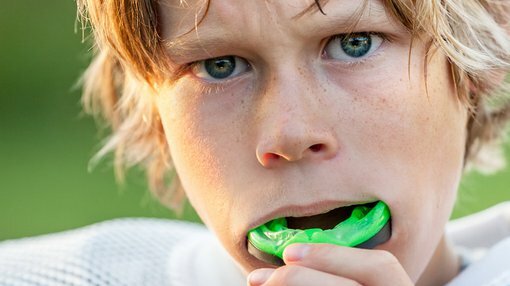 It is targeting a market in which it claims Australian Dental Association research indicates only 36% of children aged between five and 17 wear mouthguards during games. MUM is hoping that by providing a convenient service, it can encourage more parents to buy mouthguards for their children. For about $85 upfront, people can order a kit which allows them to take an impression of their mouth at home and then send the resulting impression back via an included reply paid envelope. The finished product can cost as little as $2, and can include the customer’s team colours and their name and phone number. Gameday is currently headed up by Matt Weston, who has 20 years of experience in business and sport including positions in the National Basketball Association with the San Antonio Spurs and was a technical director for the Beijing Olympics. Worsfold will serve on the company’s board as a non-executive director and brings a wealth of experience in the AFL to the role. He played with the West Coast Eagles for 12 years winning two premierships and coached at the same club for 12 years, winning one premiership. He is currently head coach of the Essendon Football Club. MUM will aim to raise $2 million before re-listing on May 18, and will also pay Gameday $150,000 in three tranches while issuing 880 million shares in the company to current Gameday shareholders.